Arthanor offer you a tailor-made service in a cosy and creative daylight working space benefiting from specially designed acoustics. 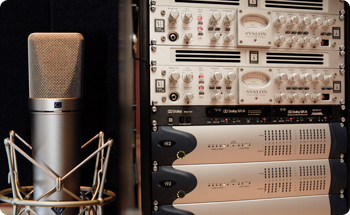 State-of-the-art equipment combining digital and analog preserves the warmth of the sound whilst benefiting from the power and flexibility of digital audio workstations. A wide and varied range of plugins and virtual instruments is also available to address both the technical and artistic requirements of your project.